Composer and guitarist for Doom Metal legends Cathedral, Gaz Jennings has more than earned the mantle of the modern age’s most consistent and supremely talented Riffmaster General. A perennial unsung hero of the heavy underground, Gaz has already contributed a vast number of classic songs to the metallic canon, but when Cathedral finally called it a day in 2013 it looked as if another guitar hero was destined to disappear into the shadows. 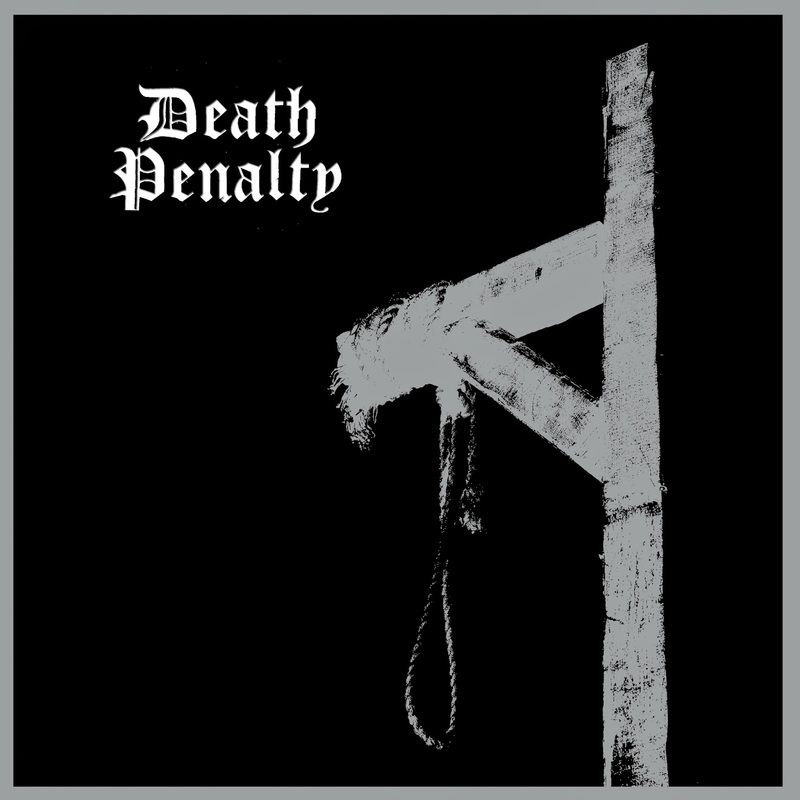 Gloriously, he has now returned with a brand new band, Death Penalty (Named after the Witchfinder General album from 1982), and an eponymous debut album that once again proves his absolute mastery of the form. With such a formidable reputation to uphold, it was absolutely vital for Gaz to select the right musicians to work with in his new band. 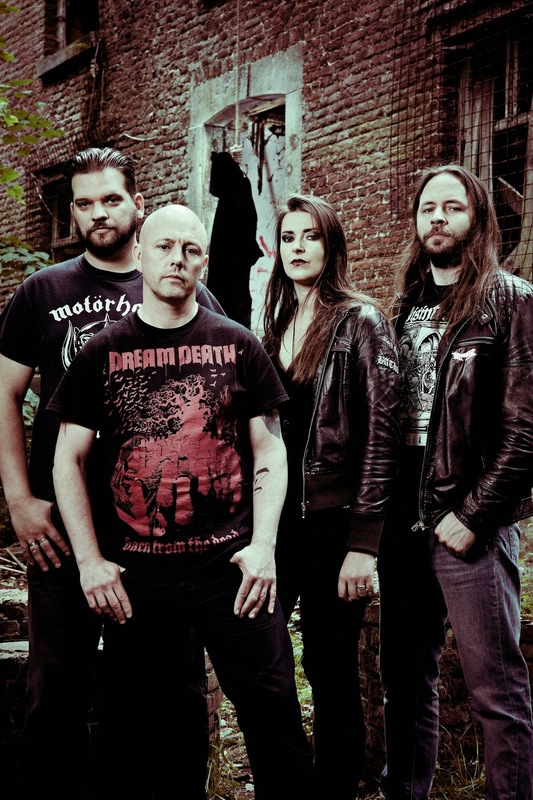 Enter vocalist Michelle Nocon and Fredrik ‘Cozy’ Cosemans, members of Belgian doom warriors Serpentcult, the line-up was completed by the addition of another Belgian, bassist Raf Meukens (Ex Gorath), Gaz was now fully equipped to bring his new band into the spotlight. The first results emerged via a debut seven-inch single, Sign Of Times/Seven Flames, which showcased the bands fiery blend of old school heavy metal, subtle doom shades and Michelle Nocon’s extraordinary vocal talents. We begin with a brief intro before we get to the song, i say this only because it seems that almost every album i get sent also does this and im starting to wonder what the point of it is? Why not just have a long intro to your first song? Right so onwards to 'Howling At The Throne Of Decadence' with a riff and tempo that reminds me of Cathedral's 'Hopkins Witchfinder General', a clever nod to the past and the name..perhaps? 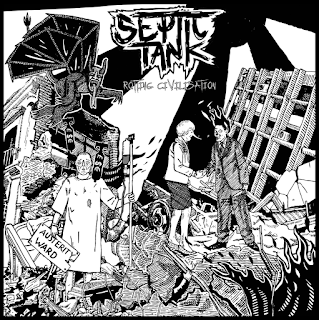 Good heavy song, great vocals and some nice guitarwork alongside frantic drumming. Oh is that an Iron Maiden riff i detect (The Trooper?) on 'Eyes Of The Heretic', it would seem that let loose with his own band that Gaz is definatley paying homage to the old school. Finally some slow heavy doom bass and riffs and 'Golden Tides' is more along the lines that i was expecting, just odd hearing female vocals. Some Sabbath overtones with 'Into The Ivory Frost' and a haunting vocal, this continues with the next song 'Children Of The Night'. Next up is a weird and haunting little song called 'The One That Dwells', mainly acoustic guitar and vocal with a short burst of full band thrown in. 'She Is A Witch' another 'Hopkins' reference perhaps, this one has a slow pounding riff with drums to match, about half way through the pace doubles with frantic double pedal drum work and a thrash like riff and a screaming guitar solo. Sounding like a full on Heavy Metal song from the 80's it has to be said that 'Immortal By Your Hand' really crashes through the speakers. 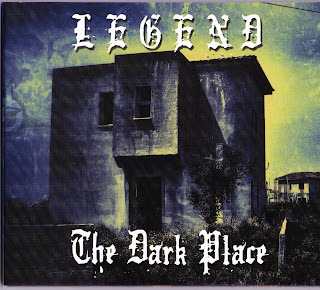 The closing track is also the longest at just over 8 minutes, they really seem to throw everything into 'Written By The Insane', there is Doom and Metal, there are nods to Maiden again with some of that guitarwork, there are folk and psychedelic overtones to the vocals and the production quality is perfect. All said and done, not a bad album at all, its not Cathedral with female vocals, maybe thats what people expect?